So as a few of you may have noticed, this site has been down for about a year now. But you don’t have to worry any longer! We are moving forward and redesigning the site over again. Stay tuned for the latest updates and a new design coming soon. Please excuse the mess though until we get where we need to be. We have restored the database for you to at least read some of the old posts we had before the site was taken offline. Thank you for everyone’s support and concerns while we had our downtime. Hopefully, we can make it up to you with some great content that will hit the website soon. Posted byBrandon November 8, 2018 Posted inGeneral ThoughtsLeave a comment on On Our Way Back! In my last post, Web Development Setup, we discussed my web development setup. We went through a quick, general overview of the hardware and software I use on a daily basis. In this post, we will follow up on the software I use, diving deeper into those tools that I use the most. This is not a list of the best software tools, but rather a list of the best software tools for me currently. You should always try out new tools and learn new ways to increase your software development productivity. What works for me may not work for you. With that said, you should feel free to try out some of the tools I use, as you may find something of interest in the list below. Before we get into the tools I use for web development, I want to go over the web stacks I am currently using and learning. I have been using HTML and CSS for years. I am in no way an expert but am proficient with both technologies. As I just mentioned, I work with Ruby on Rails at my current place of employment. I have been working with Ruby and Rails for almost 4 months now. I learned the basics of both about a month before I started working as their sole Web Developer. Personally, I believe this is position is my biggest tool for learning, as every day I create new pieces of software I would not have ever done on my own. It pushes me to learn at a faster rate, allowing me to basically learn while being paid. Many people though still find Vim hard to use. Even myself included at one time. I’ve been using Vim full-time for a little over a year. Before that, I used Sublime Text for most of my development work. I previously found Vim hard to work with, and it would often do unexpected things, at least for someone who didn’t know what he was doing. One day, though I decided to use it as my sole editor for at least one month. If after the month I was not happy, I would move back to Sublime Text, or possibly try out a few other editors. The first week was hard, but after that I started getting used to navigating through files with ease. Every time I needed to do something in Vim, like replace all instances of a word with another, I would look up how to do it the Vim way. Although this slowed me down at first, over time I needed to look up less and less. Most of the common things I need to do with an editor, I can do instantly with Vim now. I very rarely have to touch my mouse now while editing files. By itself, Vim is not the prettiest, nor the most feature-filled editor around. With a few plug-ins, you can change not only Vim’s look but its functionality as well. To install plug-ins, I use Vundle. Vundle is a plug-in manager for Vim. It does require some setup but is relatively easy to get installed. For syntax checking, I use Syntastic which is a Vim syntax checking plug-in. For Syntastic, you will need to install linters for the languages you will be using. I currently am using Tidy HTML5, PrettyCSS, and ESLint. For auto-completion, I use YouCompleteMe. For Ruby and Rails, Vim-Ruby and Vim-Rails, both of which add some nice features while developing Ruby and Rails applications. Another amazing plug-in is Airline, which provides a fast status and tab line for Vim. Emmet was one of my favorite plug-ins for Sublime Text and is available for Vim as well. For my color scheme, I have tried a few but I always come back to Solarized Dark. This is just a sample of my favorite plug-ins. Feel free to check out my full vimrc. I won’t go into Tmux for long, as I really only have a basic understanding of it. Tmux is a terminal multiplexer, which basically allows you to attach to and detach from terminal sessions. This allows for you to leave a session open while not connected. This can be useful for many different reasons. The reason I use Tmux though is because it allows you to have split terminals within the terminal you’re working in. This is especially useful while connected to a remote server through SSH. I frequently need multiple terminals open and connected to a single remote server. With Tmux, I am able to establish on SSH session, start Tmux and add panels as needed. You can add, remove, switch, adjust the size, and more with Tmux. If you’re interested in learning more about Tmux, I recommend checking out tmux: Productive Mouse-Free Development, an amazing book that will turn you into a Tmux pro. Of course, no Web Developer’s toolkit would be complete without SSH. As much as you and I both love SSH, I have to let you in on a little secret. I have been a little unfaithful with another, Mosh, the mobile shell. With a standard SSH connection, if your Internet connection drops out or you change IP addresses, your connection will drop out and you will be disconnected. With Mosh, you will find the terminal session restored as soon as you are reconnected to the Internet. Hopping wireless networks? No problem, Mosh has you covered. Close the lid on your laptop, open it up at home, and magically your terminal session to that remote server is still active. Well maybe it’s not magic, it’s Mosh. I have found this tool useful in countless situations and provides SSH with a modern twist. This is truly SSH on steroids. To run Mosh, you will need to install it both on the remote machine and the local machine. So if you cannot install applications on the remote machine, you will need to stick to SSH for connection. On any machine you do have access to install applications, I highly recommend adding Mosh to your list of connection methods. I am constantly learning new things and picking up new development tools. Learning is one of the most important tools any developer can have. It keeps you relevant and valuable. It’s just plain fun too. Honestly, the tools listed above account for about 90% of my development process. Of course, there are others as well, but I either do not use them on a regular basis, or I am still learning them. There are also the basics I didn’t mention, bash, grep, irb, scp, and others. I used those tools on a regular basis before I was a Web Developer, and have not mentioned them here. In general, Linux and its vast amount of tools provide developers with an amazing assortment of options. To learn about some of the most commonly used command line tools, visit my post on Command Line Basics for Developers. I would love to hear what tools your using in your development process. Leave a comment below with your favorite tools. This post we will go over my current development setup. Taking a look over everything from hardware to software, you will gain insight into how I work and the pieces that help me in my daily struggles as a budding developer. Although this setup works for me, everyone will have their own preferences and my setup review is in no way meant to suggest its superiority over other setups. My development computer, is a decent machine, although with slightly older pieces at this time. It contains enough horsepower for every purpose I have conceivably been able to through in its path. Considering I do mostly web development work, this computer will last me a good while, with maybe a few upgrades along the way. For software, I have a few favorite pieces that are tried and true, having yet to fail me in my time of development. I use to jump around between Linux distributions, mostly consisting of Fedora and openSUSE, but also mini vacations off to other Linux utopias. That was until I found Arch Linux. For the past year and a half, I have used the same Arch Linux installation on my machine. This machine is running vanilla Arch Linux while my laptop and work computers both run Antergos, which is an easy-to-install distribution based on Arch Linux. Everyone should go through a few vanilla Arch Linux installations first before using Antergos in my opinion, as the experience will teach you how Arch Linux works. When you need something setup quick though, and you want the flexibility and power Arch Linux provides, Antergos delivers. There was a time, not too long ago, when I would insist KDE was the desktop to use for everyone, and nothing would change my mind. Now I am not so sure. Although KDE is nice, I feel it does not fit my needs as well any longer. It still is an amazing project, but I am no longer as dogmatic, at least in regard to desktop environments. Everyone has their own desktop environment needs, and mine have been filled by Gnome. The simplicity of Gnome causes it to stay out of your way while it provides features comparable to most other modern desktop environments. Powered by Arch Linux, I am provided with the most up-to-date software, giving me the newest features in development. As I already mentioned, I use Arch Linux and Antergos. The main advantage here is up-to-date software, including the kernel and development tools. Installing Arch Linux proves an amazing experience, frustrating at first, but beneficial in many ways. It allows for a deeper understanding of how Linux works and how to configure individual pieces of the Linux environment. I have been through the install a few times, and although I may not configure those exact pieces on a daily basis, it has provided insight into configuration and setup of most Linux software, in general, making server setup easier and quicker. I highly recommend becoming familiar with setting up a Linux system this way. It will provide experience for future development endeavors. For my actual development environment, I use vim, with the occasional tmux session. I frequently use ssh and/or mosh, an alternative to ssh allowing a persistent connection, even when most ssh connection would drop out. Even with modern Internet connections, issues arise causing packet loss or disconnects wich destroy an ssh connection. Mosh, on the other hand, will reconnect your session when the connection is restored, even when your IP address changes. This is especially useful when using a laptop and moving from location to location. In the end, the thing that matters the most is how productive you can be. I choose vim as my daily driver, but you may pick emacs or sublime, or even something else. That is perfectly fine. Don’t get caught up in the holy wars of development tools, it really doesn’t matter. As long as you know your tools and can produce results, they are just a means to an end. Continue to learn other tools, look for ways to improve your current setup and always keep coding. The command line, or terminal, is one of the tools you will use most in your development career. Learning how to use the command line will not only increase your productivity, it will give you insight on how your machine operates. Plus it’s what all the cool kids are doing! In the sections below, we will go over the basics needed for most common development roles. I have gone over the basic commands briefly but have provided a slightly more in-depth dive into those I believe require additional explanation or examples. This is not meant to be an exhaustive list, but rather a gradual introduction to the most common commands a developer will be using in his or her daily routine. These commands are the common user commands that even non-developers should know. They are used so frequently, you are likely to already know them, but I have included them for those new to the command line, and as a refresher for those that do know them. To print out the directory you are currently in, use the pwd command. This is the directory you are currently in. To copy a file, use the cp command. The first file will be copied to the second file location. If the second file already exists, the file will be overwritten, so be careful when copying files. To move a file, use the mv command. It looks very similar to the cp command. When you want to rename a file, use the mv command. To remove all file recursively, including directories, use the -r option. A safer method is to prompt before each removal, using the -i command in conjunction with the -r command. To create a directory, use the mkdir command. To remove an empty directory, use the rmdir command. If the directory is not empty, use rm -r to remove the directory and everything it contains. To change the directory you’re in, use the cd command followed by the directory. The root of the filesystem is /. The tilde, ~, can be used as a shortcut to your home directory so you do not need to type out the full /home/username when changing to a directory in your home directory. To move to the top level of your home directory, use just the cd command with no additional options. ./ refers to your current working directory. The command below will change your directory to the projects folder inside the current directory. ../ refers to the parent directory of your current working directory. The command below will change your directory to the parent directory of the current folder. The ls command allows you to list the contents of the current directory. By itself, ls will provide you with what you are looking for most of the time. If you need additional information, such as permissions of the files, use the -l option. Hidden files, filenames starting with a dot, are excluded from the output of ls. To include hidden files as well, use the -a option. This will print out all files in the current directory including hidden files in the long format. The first column shows the permissions of each file. The very first character can be either a - or d. This lets us know if the file listed is a directory, d, or file, -. The next nine characters refer to the permissions of the file, grouped in sets of three. The first set of three permissions is for the owner, the second is for the group, and the third is for everyone else. Each grouping consists of three characters, rwx. Each letter stands for the permission granted, r for read, w for write, and x for execute. The second column listed by ls -l is the owner. Column three is the group. The fourth column is the size of the file. The remaining columns, excluding the last, is the date and time the file was last modified. Finally, the last column is the name of the file being referenced. We dive now into commands that most developers find useful. This is not to say these commands are not useful to the normal user, but they tend to be used more frequently by developers and system administrators. There are plenty of other useful commands as well, but the selection below represents those most frequently used. The useful tool, find as the name suggests, finds files based on some parameters. By itself, find will list all the files in the current working directory including subdirectories. You can also specify the directory in which to run the find command on as shown in the below command that will list out all files in the Project folder of the current user. An optional argument -name will allow you to search for files with a specified name.The command below will list all files with the name data.json in the current user’s project directory. Wildcards, such as the * character can also be used in the name of the file being searched for. The following command will locate all .png files in the current working directory and all subdirectories. The . refers to the current directory. The above command will only match files ending in .png but not .PNG. To match disregardless of letter case, use the -iname argument as in the following command. Including the -not argument will invert the search match listing all files that do not match the search pattern provided. The command below will return all lines that do not include hello from the test.txt file with the appropriate line number. 2:I just saw a cat! 3:The cat was eating a bat. 4:No, not a bat but a nat. 5:And the nat did not get away. Regular expressions can be used in the pattern to search for. We will not go over regular expressions in detail here, but a quick Google search can provide you with a number of resources on the topic. Brackets  around a set of characters will match any single one of the supplied characters. The following will return all lines that contain bat, cat or nat in text.txt file. The cat was eating a bat. No, not a bat but a nat. And the nat did not get away. Adding a ^ to the beginning of the character list inside the brackets will match anything except the characters inside the brackets. The following will return all lines that contain bat, nat, etc., but will exclude those containing only cat. A dot will match any single character. The following will match any line containing food, feed, fffd, etc. in the test.txt file. Using anchors in grep, you can specify if a line should start or end with a specific string. ^string will match any lines beginning with string. string$ will match any lines ending with string. Secure Shell or ssh allows you to authenticate, connect, and execute commands on a remote computer through the command line. It is one of the most important commands to know as a web developer. To connect to a computer with ssh enabled, open your terminal and type in the following command. The default port for ssh is 22. If ssh is setup to accept connections on a different port, use the following command to connect. You will need to enter the user password once the connection has been established. Once connected you will have control of the remote computer and will be able to run commands as needed. You can optionally use ssh keys to authenticate your connection to the remote computer. ssh keys provide more security than password authentication. To create an ssh key, follow the below steps. Copy the public key to the remote computer. Generating public/private rsa key parr. You can now connect to the remote computer through ssh without your password. If you did use a passphrase you will need to enter that if you are not using ssh-agent or another method of storing passwords such as a keychain. Secure Copy or scp is used to copy files from one computer to another securely. It works similarly to the cp command used to copy files locally on your computer. From your local computer, the following command will copy test.txt located in your home folder to /home/username folder on the remote computer. To copy a file from the remote computer to your local computer, use the following command where /path/to/file is the location of the file or files and /dir/to/save/to is the destination directory to copy the file or files to. You can even use scp to copy files between to remote computers as shown below. Git is another extremely usefully utilities that you will need to use as a developer. Although there are other version control systems available, by far the most popular is Git. If you currently use another version control system, it will still be to your benefit to learn the basics of Git in order to contribute to projects that do use git, whether those projects are open source based or work related. Before you start using Git, you should set up your username and email within Git to allow it to properly label you commits. Creating a new repository for Git is easy. Move to the top level directory of your project and initialize the directory as a Git repository. If you would like to work on a project from another location, such as one on github.com, use the clone command to make a local copy of the specified project, in this case a Rabit Hunt game project. Once you have initialized or cloned a project, you can view the status of the project files using the status option, which can provide information on modified, new, and deleted files. To add files to staging in Git, use the add option. You can add individual files, multiple files or all files. To commit your changes in staging to the project, use the commit option. Adding the -m option to commit allows you to provide a commit message on the command line. $ git commit -m "short description of this commit"
To push your changes to a remote repository, you will use the push command. To push back to a remote repository labeled origin use the command below. Origin refers to the original remote repository, for instance if you cloned your project from github.com it would refer to the cloned project. You should only push to your github.com repository using this method. If you wish to submit patches to another project, fork the project on github.com, clone the project to your local machine, commit changes back to your fork, then create a pull request on GitHub. With these few commands above, you are well on your way to a solid understanding of some of the most useful developer tools available to you. If you have any suggestions for commands you find useful, please leave a comment below with an example use case. Also, feel free to sign up for the LinuxMaster.me Newsletter to receive updates on new posts and upcoming projects. First thing is to create a Trello account here. Once that’s done, creating a board is simple. Click on the gray “Create new board…” card on the right. A popup will appear, asking for a title for the new board. Once the title is filled in, click on the green “Create” button to create the board in Trello. Trello redirects the page automatically to the newly created board. At first the board is empty, but lists can be created by typing a list name in the gray “Add a list…” box and clicking the green “Save” button or pressing enter. Cards can be created under the lists on the Trello board by clicking the “Add a card…”, typing a card title and hitting enter. Cards can be moved from one list to another by dragging them to the desired location. Cards can have checklists added to them by clicking on the desired card, clicking on “Checklist” on the righthand side, typing a checklist title and finally clicking the green “Add” button”. Items can then be added to the checklist. Once you have a checklist setup, you can later check off each item as you complete them. This is a great way to break larger tasks down into smaller pieces. If you find yourself adding too many items in a checklist, consider breaking the associated card into multiple cards as this helps with managing your study load. List three is the “Done” list. This is where cards are placed once they have been completed. Pretty simple right? The “Up Next” list is the fourth in our lineup. This section includes one or two cards of different types. Example, a book and a video, or just a book card. It allows you to quickly see what the next lesson is, providing motivation to move forward without seeming daunting. The fifth list, “Working On”, is where the action happens. This list should be limited to no more two card, each of a different type. This allows for a focused approach, as concentration is not spread around multiple items but still allows the flexibility for more than just one learning method at a time. If a learning module is difficult, it may be beneficial to work on that one objective only, as to allow yourself to focus on the task at hand. The sixth and final list is the “Daily” list. This list includes things that should be attempted daily. Recommendations include programming related podcasts, programming koans, and other similar coding exercises. Bootcamps require focus. With all the Trello cards laid out nicely on the Trello board, most of the hard work is done. Our plan has been set into place, just like in a real boot camp, allowing for greater concentration the current learning objective. The biggest issue now is sticking to this outline. Providing a set schedule each and every day is important. Repetition is the secret to staying on task. Every day, set a time when you can focus and complete a piece of your “Working On” cards. Set a requirement, such as a specific amount of time or a certain number of checklist items completed. Mark of the items as you go along and once a card is completed, move it to the “Done” list. Every day that you are successful, check it off on your calendar. After a few successful days, you will gain confidence when seeing those checks. This gives you the drive to keep going. If you do miss a day, don’t get discouraged. Just get back to your schedule as planned. Nobody’s perfect, so don’t be too hard on yourself. Try not to miss two days in a row though, especially when you are first starting out as two days quickly turns into weeks if you’re not careful. With the exploding popularity of programming, there are more sites on learning to program than ever. A Google search of “programming courses” return a total of 154 million results. Adding “free” to the search reduces it to 106 million search results. With the vast number of options, how is one to know which option is right for them? Busy schedules require that time be set aside to learn how to program. With 106 million options for free programming courses, how can you be sure you are selecting the right one, and more importantly, how can you be sure you’re not wasting your time. The following list will provide seven exceptional resources for learning to program. Picking one or two of these to start with and sticking with it will provide a wealth of information and increased programming ability. The courses can be completed on any operating system, although we here at LinuxMaster.me recommend using Linux as it is robust, capable, and is used for many backend applications. As with all things Open Source, it allows you to read, modify and change the code. This provides a valuable learning environment that you can bend to your needs. Check out our post, Linux Distributions Made Easy, to find the right distribution for you. Not sure what Linux is, check out A Brief History of Linux. The project also encourages coding with others, also known as pair programming. The community aspect can be seen in the comment below each course step. Have a question, just post a comment at the bottom of the page. This is a great way to communicate, especially as it does not require you to visit another page for assistance. Overall, the Odin Project has a lot of potentials and working through the projects will give you a good amount of examples to put in your portfolio. Having said that, for those new to programming, you will want to supplement this resource with additional materials as it is not an all-inclusive solution. For those seeking structure but still able to pull from outside resources, possibly including another course in this lineup, the Odin Project can be a great choice. With each course consisting of multiple problems to work through, you will cover a lot of information quickly. This allows you to quickly jump in and start coding. Codecademy will get you coding fast while offer helpful hints along the way. There is a lot of hand holding through the process and I would recommend supplementing this resource with one of the others on this page, or a book on the programming language you’re interested in. Codecademy is an awesome resource as well for those who already have programming experience in another language who would like to add a new programming to their arsenal. For those interested in a more academic teaching approach, Academic Earth provides classes directly from a few top name universities. Not only for those interested in programming, classes range from art to social science. The classes at Academic Earth consists of the more traditional in-class style teaching, as many of the computer science based courses are recorded from university courses. Outside of the individual courses there is no specific order, so for those interested in following a plan it may be wise to choose a different online site with more guidance. Courses are also offered in languages other than English, allowing this educational treat to expand beyond the United States. With little structure inside Academic Earth itself, you will need to find your own support. Some of the courses listed are actually links to outside sites, which may include some sort of communication between learners, and possibly instructors. If you have an understanding of the topics you would like to study, Academic Earth can provide free, university-level education that may be unavailable otherwise. For ideas on how to structure your own learning with Academic Earth, pull a course list from one of the university degrees in computer science and work through their recommended classes while skipping the rest. This would provide most of what the university teaches, minus the interaction with teachers and students. With its wide selection of different universities, Academic Earth provides those without a computer science degree the ability to succeed. If the previous educational site doesn’t provide what you need, check out Coursera. Like Academic Earth, Coursera provides university level courses but unlike some of the other competition, they provide verified certificates for a fee. This is a great way for learners to show off their new skills both to current and prospective employers. Courses are drawn from various top name universities around the United States. Topics range from Arts to Statistics. With such a large number of courses, the site provides an easy to navigate course selection for those searching the catalog. One of the advantages of Coursera is the structure. Students have homework, quizzes and other assignments with due dates. This will keep you on track, especially useful for those who have a hard time motivating themselves. Assignments are designed to be assessed by your peers, which in turn means you are helping to grade other classmates work. Going over other people’s assignments after you have done yours will provide a wonderful insight into how others think, and possibly introduce you to new ideas. There is also heavy interaction with other classmates through the use of the discussion forums in each class. This open forum allows for fellow learners to interact and communicate with one another, something that is key in the learning process. It is hard to loose with a system like Coursera’s. Similar to Coursera, edX provides a rich experience with some of the best free education on the Internet. Courses are pulled from different universities and cover a large range of topics. Courses provided by edX generally have a free track and a verified certificate option, similar to Coursera’s approach. Many of the universities involved in edX are well recognized in the computer science field. Harvard, Berkeley, and MIT are a few of the prominent members of the team. The course catalog is simple to use and most courses are easily found with little effort. edX courses are designed in a way to engage the learner while providing the necessary information. The courses are well thought out and students have multiple types of interaction with the coursework. Through reading, videos, quizzes and assignments, students are taught in a modern fashion. Personally, I find the edX courses to be of outstanding quality and is one of my top choices when it comes to online learning. Currently, the Linux Foundation has a course for those learning Linux on the edX site called Introduction to Linux. With the vast amount of highly polished courses available at edX, it is worth taken a look at for your programming education needs. The courses are laid out in sections broken down into short instructional videos. After a few videos, students have an assignment or quiz to take. This helps out a lot, as you are constantly applying the things you have just learned. I found this technique to work extremely well for me. Following along with the lessons, students create actual applications as they go along, slowly building up to the final stage of the course project. This iterative approach is great to show how things can be broken down into pieces and also helps the students learn the information presented. Udacity is my number one resource for learning online at this time. With their fun and interactive teaching methods, Udacity is a win for those looking to learn programming from a non-traditional method. With a great selection of resources to teach yourself programming, which one should you choose? Personally, I recommend sticking with one or two, as not to spread you time out too thin, especially if you are working full time. To decide on which educational site to use, pick a course from each to test out. Go through a section in each and then decide which works best for you. If you have enough information above, pick one based on your learning style and just go for it. Once you’re started though, stick with it. One of the big downfalls of online learning is there is no one to hold you accountable. Create a schedule to do the course work and watch the videos. If you tend to procrastinate, take a look at How Not Creating Goals is Costing You. Sticking with it is the most important aspect. Finding a balance of studying and practice is also important. Take the time to practice what you learn. You may think you’re absorbing all the information, but without practice it will not stick. Creating side projects will only strengthen what you have been studying. Also, participate in the forums or group discussions if available. This will get you to start thinking more about what you are learning. You may even help someone else out by answering their questions. Even newbies can provide insight to questions, and talking through a problem will generally cause all parties to think more about the subject at hand. If you have any questions about the sites above, post it in the comments section below. Simple Programmer, What is It? The Simple Programmer is a spectacular resource for those looking for blogs regarding programming, whether beginner or advanced. The blog provides general purpose information for those interested in programming, from a free blogging course to getting people to buy your product. The blog will not teach you how to program, but will provide the ability to become a better developer. The range of topics covered provides an amazing starting point for developers, and the free blogging course is the inspiration for LinuxMaster.me. The author of Simple Programmer is John Sonmez. He is a Software Developer and Blogger who focuses on important aspects of software development including the business side. He has also created courses for Pluralsight. You can learn more about John on his site, Simple Programmer, or by following him on Twitter. The Simple Programmer blog offers valuable tips for programmers of all experience levels. John, the author of Simple Programmer, is an experienced software developer, creator of instructional videos and has written a book. This is to name just a few of his accomplishments. He has a proven track record, which is one reason that developers or those aspiring to be such should follow his blog. 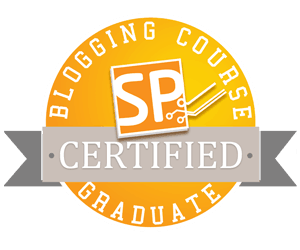 His free blogging course also provides some great information on how to get started and continue running an amazing blog for those interested. It is highly recommended to write about things experienced to make one’s self better. Giving help back to the community is also a plus of running a blog, providing ideas and inspiration to others.